Deer have horizontal pupils. 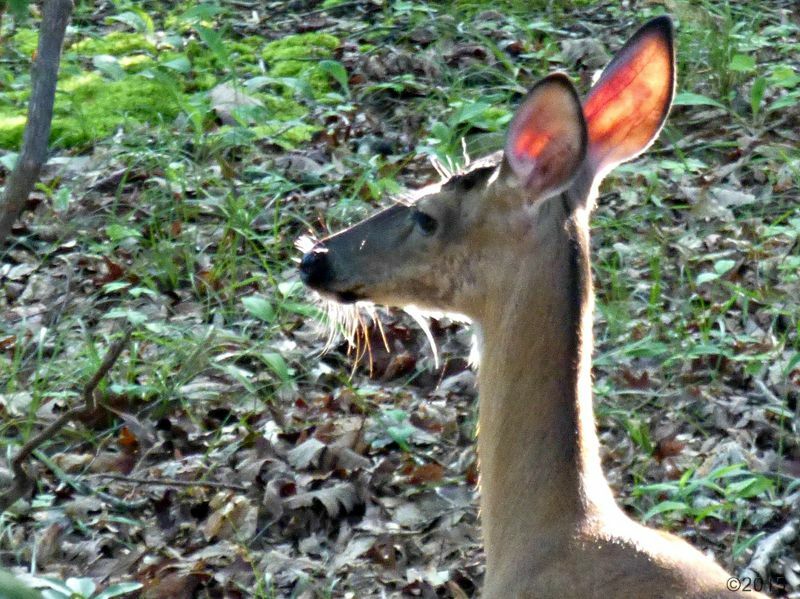 When this photo was taken yesterday, the sunlight happened to hit the doe’s eye just right to really make that evident. 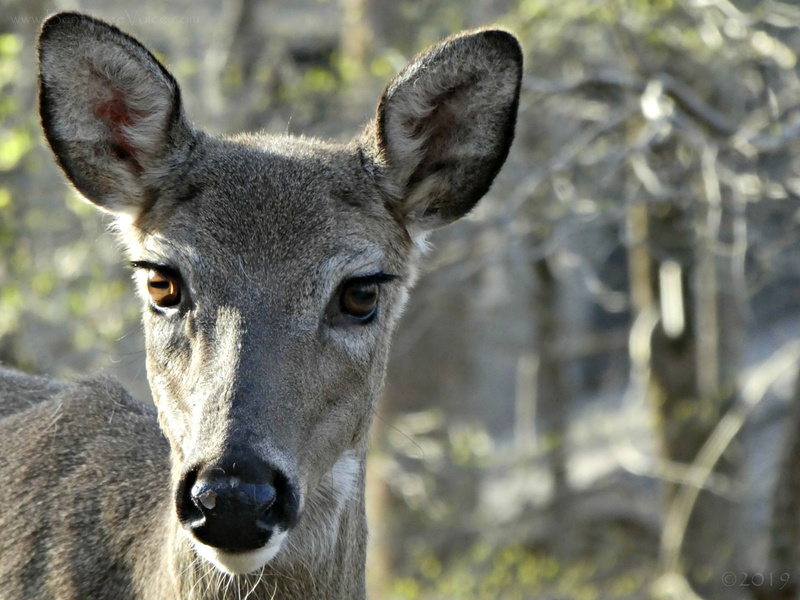 Click here for an interesting article about deer’s eyes and vision. 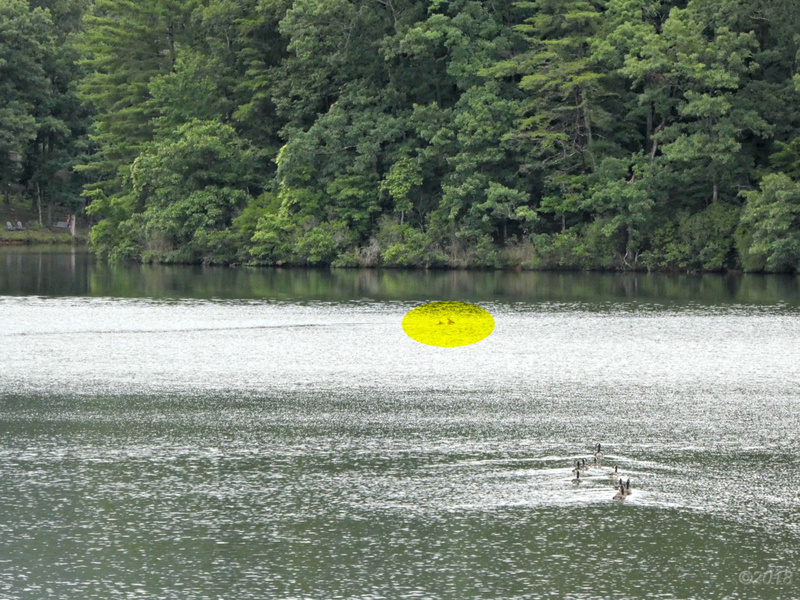 They made it across the lake. 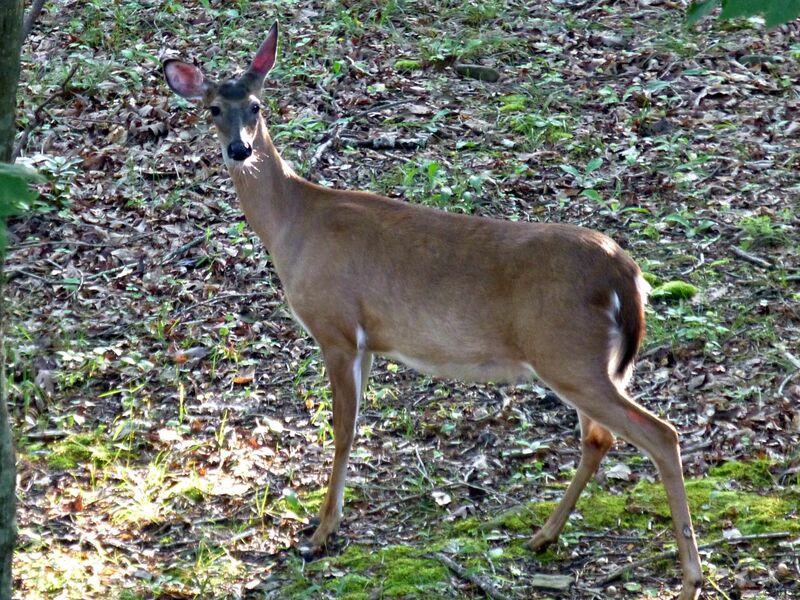 One other thing about the deer from yesterday’s post…she’s definitely pregnant. Click here to link to a current article from Georgia Outdoor News, titled “The Coyote Cull”, to get a hunter’s perspective. Click here to read a previous post (from 2012) on this website that covers the same subject and links to an earlier article. 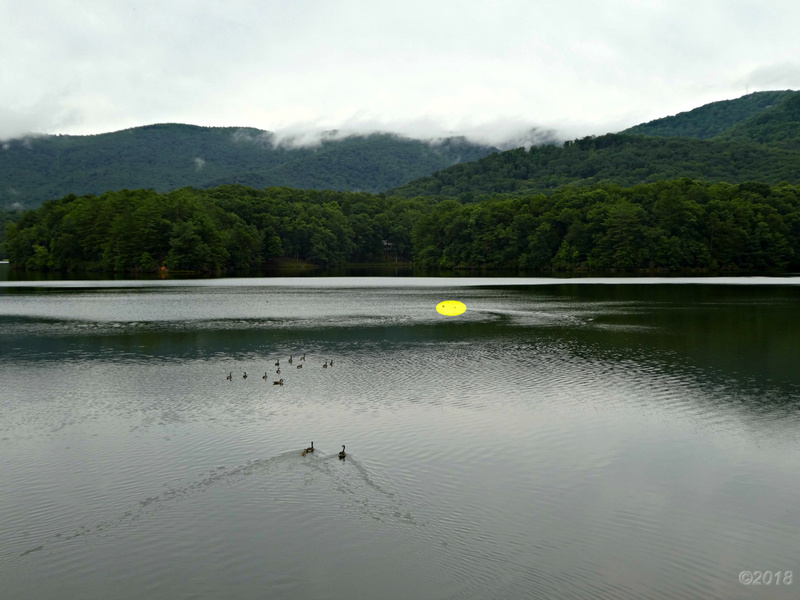 Click here to link to a Georgia Outdoor News article that discusses the result of the publication’s annual cover-ballot survey. “In North Georgia the situation is quite different. The hunting in this area is typically upland game hunting. Widely separated, mature trees, with little or no underbrush, increases the visibility to 200 yards in these typical southern Appalachian hardwoods.” – Allen, George W. (Georgia State Game and Fish Commission). “The Management of Georgia Deer.” The Journal of Wildlife Management, Vol 12, No. 4. October 1948. Pages 428-432. 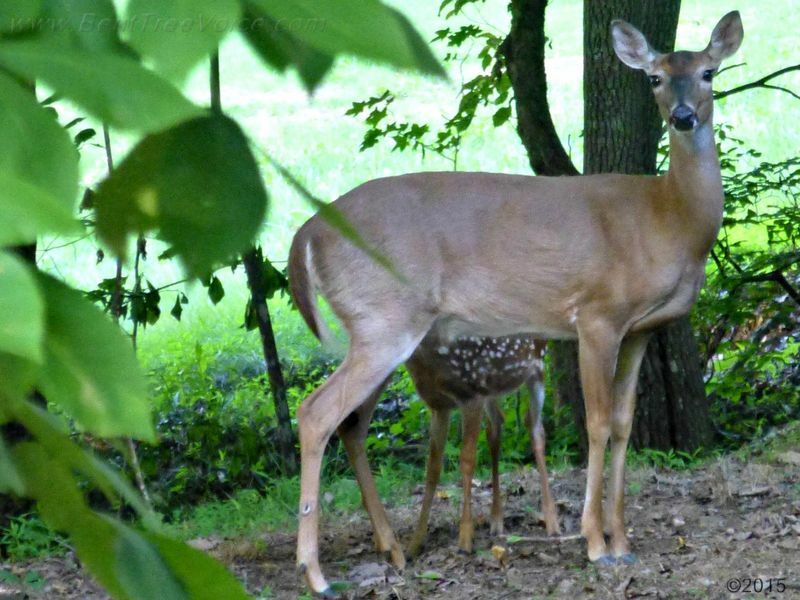 It’s possible that corn-fed deer are sitting ducks. It’s food for thought. “We are barely seeing signs of life on our club, let alone a rut. Since acorns were a bust this year all of our deer moved to Bent Tree where they could get fed.” -November 4, 2013. Quote from hunter on Georgia Outdoor News forum.